Roxi, a colleague, recently asked me on Facebook what caused her headaches when she drank wine. 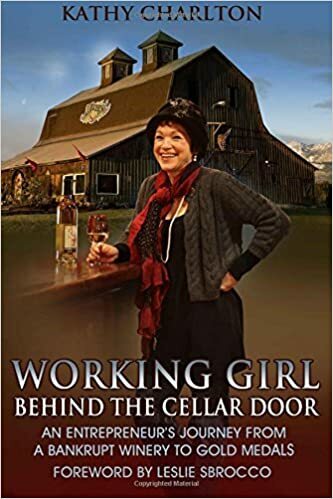 My standard “bar talk” on the subject was not enough because she gets headaches from all kinds of wine, red and white including grape juice but not the actual fresh unfermented grapes. So I was stumped and started researching the subject more. I’ve read everything from the Harvard Health Letter, to a great New York Times article to a blog from Winegeeks. What I found was a plethora of information and for the last few days I’ve immersed myself in ‘wine headaches’. I had to smile though because every article or research paper ended with words to this affect. “Don’t confuse red wine headaches with the headache that comes after a full evening of drinking. That's called a hangover!” You think? Bottom line I found out there is no definitive answer because the food you eat is so unbelievably coupled with your body's chemistry that each of us may react differently to what we consume. While there seems to be no doubt the syndrome exists, definitive causes of it are as varied as the cure for hiccups. I did find many helpful suggestions from the research that can help you conduct your own personal tests with different wines looking for a grape varietal type, production style or origin of grape that would provide relief from Wine Headaches. If you have RWH syndrome it can come on within 15 minutes of drinking red wine and be accompanied by nausea and flushing. First, here is the list of top causes of wine headaches. I tried to keep it short and concise. The more practical suggestions and testing options follow. Sulfites are a naturally occurring compound that nature uses to prevent the microbial growth found on grapes and is used as a preservative for dried fruits, lunchmeats and cheeses. White wines generally contain more sulfites than red wine. Sweet white wines have the most sulfites. Sulfite can cause an allergic reaction and will give headaches to asthmatics. Over 20 years ago the FDA determined that a little less than 1% of the population is allergic to sulfites, meaning they lack the digestive enzyme which would allow the processing of sulfites commonly found in foods like lunch meat, sausage, and cheese. Therefore, the FDA required that wines containing certain levels of this compound say so by placing the phrase "contains sulfites" on the label. This information has long been translated by some into a warning that people who get headaches from red wine should stay away BECAUSE OF the sulfites. That is incorrect. The language is intended only as a warning to that small minority who are in fact allergic to sulfites. At this point in time, no study has proved that sulfites are the culprit. Alcohol has a powerful dilation effect on the blood vessels of the skin and your extremities. This means that it causes the vessels to open, allowing increased blood flow. The alcohol stimulates blood flow to the skin and extremities making you feel warm inside. However, it also makes you lose body heat more quickly. Therefore, the alcohol in wine can cause the blood vessels in your nose and sinus area to swell causing a feeling of pressure. Depending on how sensitive you are to this effect, you might experience a headache. Histamines Many people may be sensitive to histamines. Histamines are found in many food products, but mostly in fermented foods and beverages, and are more common in red wines than in white wines. Histamines have also taken quite a bit of blame for causing red wine headaches. Histamines are compounds found in plant and animal tissues that cause an allergic reaction in humans. They stimulate gastric secretion and cause dilation of capillaries, constriction of bronchial smooth muscle and decreased blood pressure. While histamines are found in grape skins, researchers believe that they are not found in high enough volumes to be considered problematic. Tannins have recently taken most of the blame for causing red wine headaches. Tannins are natural defense mechanisms in plants that create a bitter, astringent taste which induces a negative response when consumed. In wine, these plant polyphenols are derived from the grape skins and provide the flavanoids in wine that give you the dry, puckery mouth sensation. They’re not only found in wine, but also in cheese, nuts, chocolate and tea. The tea industry has recently been touting the healthy effects of antioxidants provided by the tannins. One possible link is the fact that tannins bind starches together, and prevent these starches from being used by the body to produce serotonin. Serotonin is used to dilate and constrict blood vessels in the brains. When there is a serotonin deficiency, these vessels tend to constrict, thereby reducing blood flow to the brain, which will cause a migraine. Tannins are also naturally found in wood, especially in oak. Most wine is aged in oak, so logically the tannins found within the oak are going to be transferred into the wine. 1. Dried Fruit Headache? If you think you’re allergic to sulfites, eat a dried apricot or other dried fruits which have a higher sulfite level than wine. This will cause a stronger headache than red wine would. 2. Chocolate Headache? Tea, soy, or chocolate — though all contain tannins. So if chocolate doesn't give you a headache look for other causes. I didn't even get in to the cacao chocolate content and tannins. 3. Young or Older Wine: Joe Coulombe, the founder of Trader Joe's, may have an explanation. He opines that most Americans today drink very young California red wines. Some of the substances which cause hangovers become inert with age, so Coulombe believes that drinking older wines will reduce exposure to both hangovers and wine headaches. 4. French or American Oak: Something that has not been studied is the difference between tannin transference from American oak and French oak. We know that American oak leaves stronger impressions in wines and wines stored in French oak barrels receive more subtle barrel flavors. Why is this important? Because many people have claimed to be receive a migraine every time they drink American red wine, while they are able to drink most French and Italian red wines without any ill effects. 5. Take and Aspirin and Call Me In the Morning: One suggestion for histamine sensitivity, take a non-sedating antihistamine like Sudafed, Claritin or take an aspirin to stop production of prostaglandins which cause pain and swelling. 6. You Get What You Pay For: Stick to the Good Stuff. Many articles mentioned that the quality of wine can have a great effect on a possible headache. 7. Rotate Black Tea and Wine: If you suffer from headaches and/or flushed skin when drinking wine, try drinking a cup of black tea before you drink the wine. If you will be drinking over the course of an evening, have another cup or two of black tea during the evening. Quercetin, a bioflavonoid found in black tea, significantly inhibits the headache/flush response (which is an inflammatory effect from histamines), according to Tareq Khan, M.D., a pain expert with St. Luke's Episcopal Hospital in Houston, Texas. 8. Bottom Line Experiment: This could help lick your problem. Dr. Fred Freitag (read a lot of his research) advises a potentially long, maybe painful, and costly experiment. A sufferer of the headaches himself, Dr. Freitag finds that he can drink some reds and not others. “Try different brands, different grapes, different countries of origin. That’s the only way you are going to find out.” Drink a half a glass of red wine; if it is going to give you a headache, it will do so within 15 minutes. If there is no reaction, stick with that wine for the evening, keeping your alcohol consumption to no more than two glasses. Keep a journal. Whew! That's it. If you suffer from Red Wine Headaches, please consider this an executive summary. There is so much info on the internet. Excellent article! I have heard so many people reference "sulfites" when referring to why they don't drink Red wine, yet continue to drink White wine. So your research has shot that statement down. One thing not mentioned, though should be obvious to most... is your level of hydration prior to drinking wine (& after!). Dehydration due to Alcohol consumption is not to be ignored as it is a diuretic and will flush water from your body. Why I think some people avoid wine in general, claiming headaches from red OR white... is the alcoholic % of wine is underestimated by most people. One needs to be able to pace themselves and understand their limits, which becomes more difficult when the alcohol % is higher in a drink. Bucket List or Afternoon Delight?